Watercolor Creative Techniques teaches experimental techniques and application of watercolour. I'm actually not sure what to make of the content as I'm not particularly into abstract and there are quite a substantial amount of examples that go into those areas. 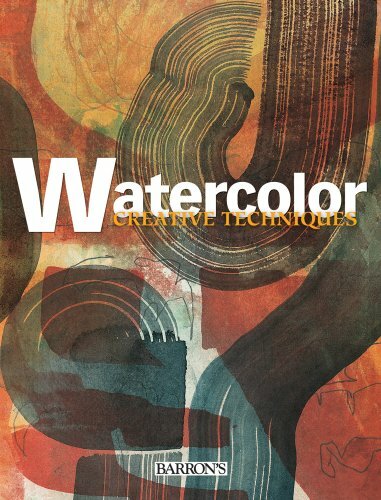 The book starts with around 10 pages of introduction in the various techniques that are common to watercolour. These would be things like wet on dry, wet on wet, handling strokes, splatter, masking, etc. The bulk of the book covers the creative projects. Each project has a specific subject. For example, the first project is on transparency. It has a painting (contemporary style) from an artist followed by a profile. Then it goes into a step-by-step tutorial on painting. Often at the end of the tutorial, the result will look more experimental and impressionistic than compared to traditional observational watercolour paintings. Some, to me, are abstract exercises at playing with the medium. After each tutorial, there will be a gallery that explores even more experimentation through different styles, materials such as paper or brush or techniques. The examples in the gallery can be even more abstract. The idea for each chapter is good, but I'm not too sure about the execution as it's not the kind of style that I like — I prefer more representational stuff. I would recommend flipping through the book before you buy it.